I am Khaaneph. I conquer all who enter my domain, the vast sands of the Kho’Riim. I prey upon the enemy of my enemy. All fear me, for I am Khaaneph, and that which enters the sands is mine. Creet’tho squinted, gazing out over the shimmering horizon, and saw smoke rising above the visual distortions caused by the desert heat. He was stationed alone at a remote outpost, part of a forward lookout network that protected valuable aquifer pumping stations from Heretics…and the Unclean. The years were catching up to him, and he stood with a slight stoop under the weight of his bunker coat and breathing apparatus that protected him from the desert heat and windblown sands. The harsh environment did not perturb Creet’tho, and he piously endured it for the sake of his soul, and that of his people’s. He would do his duty honorably for both Khagaan, the commander of Kiith Gaalsien, and because, someday, it would redeem all Kushan. Performing such a vital task was his idea: Creet’tho had implored the Commander to be to be allowed to remain useful after his mechanical skills dwindled due to a worsening joint ailment that slowly stole away his abilities. Despite his age and illness, his eyes were still sharp and his mind still capable, so Commander Khagaan had seen fit to place him in a position to assist in protecting the Kiiths’ pumping stations. Staring with curiosity and apprehension at the black plume across an ocean of tans and browns, Creet’tho turned to enter the dome-shaped structure that protected the monitoring station and provided him with some respite from the voracious expanse of desert that was his people’s fate to endure. Once inside, he removed his gloves and face mask, then quickly began activating the comms to report his finding. He was met with silence. Surprised, Creet’tho re-ran the activation sequence. All he received in response was static…unusual static. Every few seconds the crackling would reach a crescendo, in a repeating pattern. Surprised and perplexed, Creet’tho began a series of diagnostics, starting with the power generation module. Shedding the bulky black outer jacket that was his first line of defense against the sands and heat, Creet’tho checked the power module’s output and connections, a ponderous process due to his joint affliction. Finally, satisfied that everything was in order, he powered the radio off and back on. He attempted to send another broadcast, but continued to be met by the strange, repetitious noise. Exasperated and his hands aching, Creet’tho sat down heavily on top of the metal supply container that doubled as his bed in the minimalist shelter. He didn’t like electronics, and never had. That was partly why he had become a mechanic: he’d always preferred to work with his hands rather than displays or circuits. He liked being able to tangibly interact with something, to feel and see the parts. He also liked the gratification of taking something from non-working to working, of restoring faltering vehicles or tools to order and functionality again. This made Creet’tho feel like a tiny creator force and he thought this feeling helped him better relate to Sajuuk, the Great Maker. Like all of his Kiithmen, he was an ardent worshipper of Sajuuk and follower of the Ka’had Sajuuk: the Great Maker’s Voice among the Gaalsien. He patiently endured the harsh realities in the great sands on Kharak, that were a punishment for all Kushan people for their sins. Creet’tho’s abilities had provided a valuable and much-needed skill to his Kiith, for the desert sands were incredibly destructive to machinery. But no longer. Creeth’tho had always known and performed his duty without complaint. After completing the required military-style training that all Gaalsien youths underwent beginning at age fourteen, Creet’tho had served Kiith and Maker contentedly for four decades, excelling at mechanics. However, beginning slowly at first, Creet’tho had begun to experience pain, swelling, and stiffness in his finger joints. At first it had been irritating but tolerable, and would fade after a few days. As the years wore on, however, the stiffness and pain became worse until he had finally been forced to face an even harsher reality than that of the great waste. Creet’tho could no longer be a mechanic, could no longer follow his passion, could no longer serve his Kiith…and maybe not even his God. Heartsick, he had begun to listen even more fervently to the teachings and guiding of the Ka’had. The Ka’had Sajuuk preached that in His name, the people must endure their punishment in all it’s forms, and so Creet’tho had strived to do so. Rather than serving as a foreman and continuing to train a younger generation of mechanics, he had gone into temporary solitude, hoping fervently to gain guidance. After three days of fasting and praying, he decided to serve his Kiith in a different capacity. He approached Kaagan, and was blessed with another way to serve. On his new assignment, Creet’tho had many hours to reflect on himself and his people. Kiith Gaalsien was not a large Kiith, but as the only truly righteous followers of the Great Maker, his people had been both appropriately punished and justly rewarded. Driven into the vast sands by the Heretics over four hundred years ago, at the time Kiith Gaalsien been comprised of just thirty families and their leader, the Kiith-Sa. The Heretics never believed survival would be possible, but the Gaalsien, true believers, had proved them wrong. His Kiith never wavered from their devotion, and Sajuuk had seen fit to reward his Chosen with unprecedented technology in the form of vast, ancient starship wrecks, littered among the endless sands. 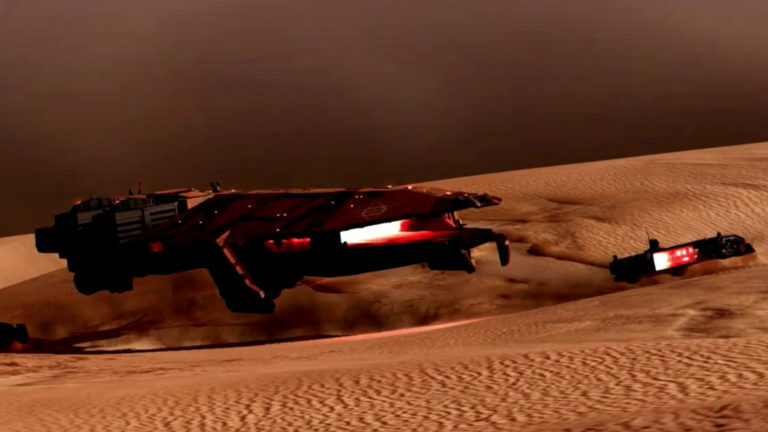 Gaalsien shipbreaking efforts had revealed new hover transportation, life support, and weapons technology, all of it a great boon to survival in the inhospitable desert. Indeed, with these Holy gifts, the faithful Kiith had begun to thrive, growing in number to over three hundred families and allowing construction of more advanced desert craft and equipment. They had become a force to be reckoned with, superior in the desert than even the Heretics and their so-called ‘science’ and ‘progress’. It was their ways that blasphemed the Great Maker, and if left unchecked, would bring His Wrath upon all of Kharak and her people. The Heretics made Creet’tho’s heart ache, both for their souls and the future of all. The Great Maker had placed His people on Kharak for a reason, as a punishment for mortal sins. Until they all payed the price and received redemption, his deity’s wishes were clear, taught plainly by the Ka’Had: do not seek the stars. Yet the other Kiith’s ignored the Ka’Had’s wisdom, preachings, and the word of the Maker, choosing to pursue ‘science’ in an attempt to achieve precisely what they should not – space travel. The great Ka’Had had made it clear that any who defied Sajuuk in such a way would be punished most grievously…and most justly. Creeth’tho knew, however, that there were worse things on Kharak than the Heretics. Kill. It is what I do, it is what I am, for I am Khaaneph. Today, I hunt Na’kholem, Zealots, who tell of me to frighten it’s young. Today, I will take back what is mine. The Na’kholem have drilled deep, believing it is the master of the Kho’Riim. I will prove it wrong. I always do. Shuddering involuntarily at the thought, Creet’tho wondered if the Khaaneph were responsible for the smoky plume he had witnessed moments before as he continued to struggle with the radio. Although his knowledge of electronics was limited, he didn’t believe there was anything wrong with the radio. Instead, there seemed to be some sort of interference. Although unlikely, as Gaalsien radios were designed to penetrate harsh desert storms to maintain vital lines of communication, it seemed something was preventing his radio from broadcasting or receiving. 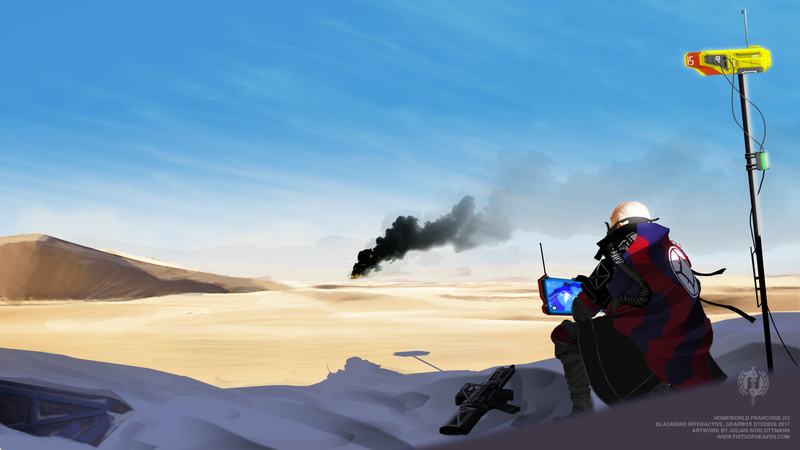 Although he hadn’t personally encountered the infamous and feared race, he had heard rumors of the Khaaneph’s ability to disrupt radio communication from Gaalsien deep desert rangers. Solemnly praying to the Maker for protection, Creet’tho resignedly ceased his efforts to reach reinforcements. As a child, Creet’tho’s mother had told him stories of the Khaaneph to frighten him into bed at night, when he wanted to stay up playing with his toy sandskimmers. “Go to bed or the Godless will steal you away!” she’d say. Unfortunately, unlike other things he’d been afraid of as a child, the Khaaneph were real. 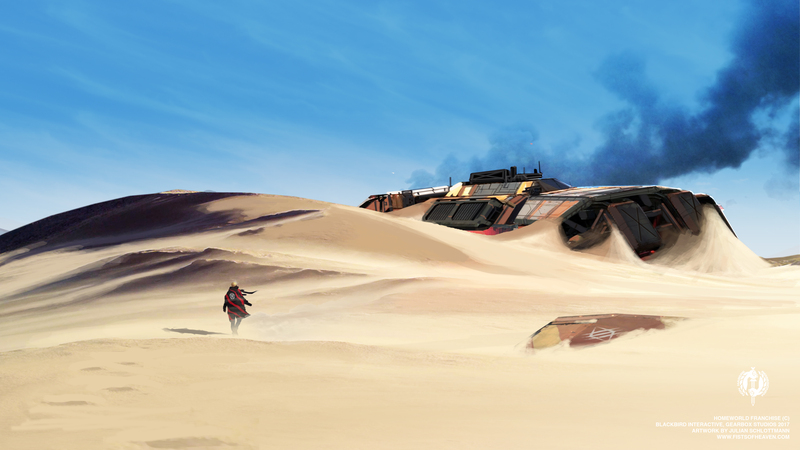 Like invisible reapers of the sands, they materialized out of the desert, raiding outposts, storage depots, and supply convoys. Their victims seemingly never saw the attacks coming as there was virtually never a distress signal from their victims. When Gaalsien troops investigated the disappearances, there was often little trace of their seemingly ethereal aggressors. After a time, many unexplained disappearances began to be blamed on the Khaaneph, although no one was sure when it was they who struck, or the inexorably violent sandstorms. The few scouts, rangers, and survivors who had encountered the Godless all described them as insane, speaking gibberish and wearing the skins of what they assumed were their unfortunate captives over their tan and and brown bunker coats. Even after decades, very little was known about them except that they worshipped no God, which made all Gaalsien shudder with revulsion and fear. How could an entire race disbelieve in the Great Maker? It defied comprehension, and would surely bring His wrath, later if not sooner. Yes, Creet’tho feared the Godless, and was right to do so. However, he knew his duty: to provide early warning for protection of the valuable Kiith water stations. Steeling his resolve in an effort to suppress his growing apprehension, he stood up slowly and began the painstaking process of donning his desert survival gear. 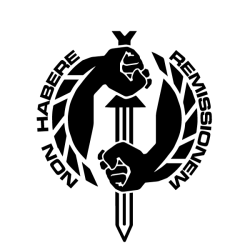 With effort, he willed his hands to work the buckles of his bunker coat, slung his rifle over his shoulder, and donned self-contained breathing apparatus and attached compressor. He carefully checked the hose connections, pressure gauge, and moisture reclamation systems before inhaling deeply to confirm airflow, momentarily relishing the the feeling. The cool air washing over his face from the SCBA was a small but blessed reprieve, the only one he would have when facing the scorching desert heat. Turning, he exited his small shelter, prepared to face the onslaught of sun and sand. It was time to investigate the strange plume on the horizon. I may be trapped, but I am Khaaneph. Therefore, I am many, I am all, I am one. I will have what is mine. I have attempted to bring other parts of me here, as I require more of me to assist if this part is to survive, but I cannot disengage my spark-gap transmission jammer. The desert has claimed my craft, as it will claim all. All but me, for I am many. I was close to retaking what is mine, for I am the dweller, the rightful servant of the Kho’Riim. There is nothing else. The sands…they are merciless, all-knowing. The sands have their own will…and today, their will is not mine. Creet’tho trudged methodically across beautiful desolation, his broad boot attachments preventing him from sinking too deeply into the shifting sand. The sun lay overhead like the open maw of a blast furnace, pouring light and heat across the ever-changing landscape. Creet’tho’s protective equipment didn’t prevent him from feeling the heat, it just prevented him from being incinerated by the sun’s inferno or scoured away by the windblown sands. “This is the path to our redemption” he thought, “this is what we endure so that we may once again be lifted up by the Hand of Sajuuk, to regain His Favor”. His people knew no other way of life, nor would they attempt to deny or circumvent the punishment that had been wrought upon them. It was a price every Gaalsien payed, and he was proud in the knowledge that they paid it gladly. Pressing binoculars to his face shield, he waited momentarily for the image to autofocus through the tinted lenses, but to no avail: the shimmering heat still distorted his view of what caused the rising smoke. The binocular’s rangefinder told him he had nearly two kilometers before reaching the source of the dark plume. He pressed on, intent on his duty, and sure in his convictions. Creet’tho continued resolutely toward his target, taking step after deliberate step in the shifting sand. While the broad boot attachments prevented him from sinking too deeply, walking across the great wastes was never a swift process. While a sandskimmer would have been nice, his outpost was too remote and too small to house a maintenance crew. Without a crew, no vehicle operated for long in such an unforgiving environment; and it was not Creet’tho’s place to wish for more than what Sajuuk granted. A half hour into his ponderous approach, Creet’tho once again paused to scan with his binoculars for the source of the still-dense smoke. Holding them against his face mask, the distance leapt towards him. He gasped. There could be no mistake. Will the sands consume me? How can that be, for am I not all? Khaaneph. Creet’tho felt his blood turn to coolant a recognition caused an almost instinctual fear to flow through him. There was no mistaking the wrecked cruiser’s design, so familiar yet so alien. Half buried, it appeared as though a dune crest had collapsed on the it. A support cruiser, from what he was able to discern through billowing black smoke that he was sure came from the smoldering of hover generators, slowly burning from the inside out. Lack of oxygen was probably preventing a more violent incineration, he suspected. The sand snuffed the life from everything, even fire. From this distance, he almost didn’t see the elongated lumps scattered in the sand in front and around the cruiser. Bodies, he thought, their color similar to the tans and browns of both the cruiser and the backdrop they lay on. Bodies of the Godless. Despite his shock, he wondered what refuge their souls would find, and if those who worshipped no God found any hallowed ground after life. In death, did their essence simply wander the desert, continue to prey on Sajuuk’s children as they had in life? Creet’tho did not know the answers, but he did know his duty. It would benefit Kiith Gaalsien greatly to gain as much intelligence as possible about these roving heathens, and he would do his duty as long as he drew breath. I see…me. Is it no longer me…? Sure in his purpose, Creet’tho moved as quickly as he could towards a small sand bluff ahead and to his right, a combination of fear and conviction granting him strength. Although the bluff was born and died with the diurnal winds, it provided him temporary cover that he may soon desperately need. Unslinging his rifle and resting it on the sand with the barrel towards the cruiser, he dropped into a prone position and pressed the stock to his shoulder and the large, light-blocking sight shield to his face mask. Nearly as powerful as his binoculars, the rifle’s scope let him survey the wreckage of the Khaaneph cruiser. He remained still, watching, his black-clad permanence contrasting starkly against the endless transience of the desert. Nothing moved, except the smoke…and the sand. Still he waited, intent on the scene in his optics, ready to provide any Godless that moved the answer to his earlier, esoteric questions. Only the sun, sand, and smoke belied any motion. Creet’tho remained in his prone position for an hour, his bunker coat protecting him from gusts of grit that could remove paint from metal. He stayed motionless, although the sand flowed around him as though it were a liquid. The wreckage was as still as he was, which finally spurred him into motion. As he closed the protective caps on his rifle site, he realized with a start that his joints were functioning normally. After slinging the rifle across his back, he flexed his hands experimentally in surprise. No stiffness, and no pain. “Sajuuk grants his children the strength they need to endure their trials”, he thought. Pride for his Creator flowed through him, burning away all fear and any remaining whispers of hesitation. He would do his duty, for his people, and for the Great Maker. Physically rested from his earlier vigilance and spiritually renewed by His Who’s Hand Shapes What Is, Creet’tho began the final approach towards the wrecked Khaaneph cruiser. Canted laterally at approximately a forty-five degree angle and halfway submerged in the sand, smoke continued to flow up and out of the cruiser’s main production bay opening. Pushing back the bottom of his bunker coat and checking the sidearm he wore holstered against his thigh, Creet’tho decided to approach directly from his current vector. After witnessing no signs of life for over an hour, he didn’t see the point of expending energy in an attempt at a more tactical approach, something the shifting winds would likely render useless anyway. Pressing forward, buffeted by winds and hearing the familiar, hissing constant that was sand being blown across his protective clothing, he began closing the distance between himself and the wreckage. Many minutes later, a security camera on a wrecked Khaaneph cruiser sensed motion and began recording; storing the data locally as radio transmissions were currently being jammed. The recording showed an elderly Gaalsien, his eyes blazing with fervor, staring down as a trapped girl stares upwards back towards him. Though she is pinned between the cruiser’s hull and the sands and obviously wracked by pain, her gaze is imperial as she stares back, superior and defiant. “I am Khaaneph” she says, her voice sure, laced with disdain “and that which enters the sands is mine”. End of part one. I hope you enjoyed reading this, as I greatly enjoyed writing it. Part 2 will be available the first Tuesday in August!